“Do you believe in magic? You hear a once-fave tune and it gets into your head and you can’t get it out again no matter how hard you try. Like water in your ear. Know the feeling? The Lovin’ Spoonful’s Do You Believe in Magic, from the mid-60s, did it to me Saturday night. And it’s been goin’ round and round like a 45 rpm with one of those yellow adapters fit into the middle so the record could play on the turn table. 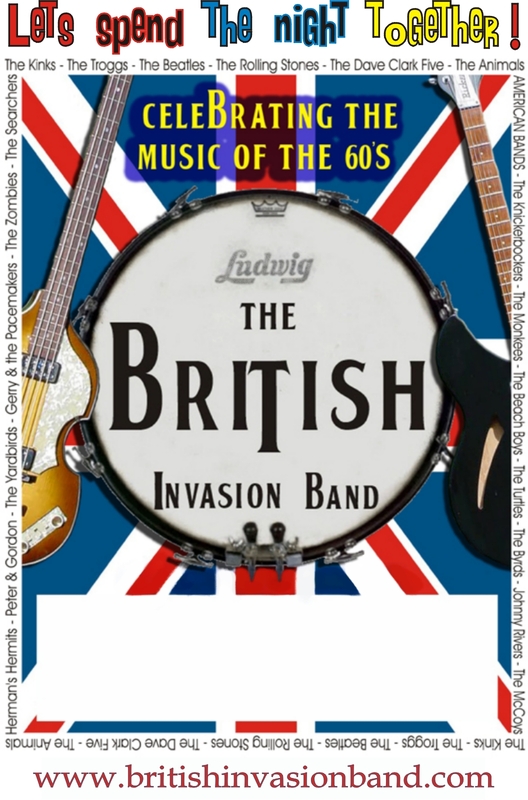 Welland-based British Invasion Band is to thank for their fine rendition of John Sebastian’s Do You Believe in Magic? classic. The band was the headliner for a fundraiser at the International Flatwater Centre. The opener was a band called Groovy Food – my, talk about getting the adrenaline going, these guys sure can do it. Oh what a night! No, not the song. “Oh, what a night, late December back in ’63/What a very special time for me/As I remember what a night!” as performed by Frankie Valli and the Four Seasons. Remember that one? Just, oh what a night! Good music, good friends, good food too. Let me admit it now: the bands’ respective opening sets turned back the hands of time, that was inevitable. They roused from slumber a lot of memories. Live band dances were a big thing way back in the 60s where much of Saturday’s music had its roots. High schools had live band dances on occasion. Frats and sororities around town had them more often. The best venues were places like the K of C (Knights of Columbus) hall on Lincoln West, Holy Ghost Church hall on the east side, Morgan’s Point, and some will say, Davis Hall in Fonthill. It seemed as if local bands were coming out of the woodwork. Arguably, two favourites of most in Welland were the Spartans and Sting Rays. Anytime these guys played you could expect a full house and a lot of action on the dance floor. Even some of the guys who typically leaned against the walls with their hands in their pockets for most of the night got the urge to get out on the dance floor. Remember what they were called: “wallflowers”. On Saturday night, a musician of renown was seated at our table. Stanley “Stash” Szymkow, a Welland South-neighbourhood boy as the saying goes, was there to join in a set by the British Invasion Band later in the evening. Well, one of the guys in Groovy Food referred to him as “a legend” during a conversation they had had between sets. Now that’s renown – when one of your peers refers to you as a “legend”. Low-key Stash is one of the best and one of the best known horn players in these parts. I suppose this, too, was inevitable. We lamented the decline of weekend live band dances as we had known them. He suggested two factors which contributed : changes in smoking laws and changes in drinking laws. Little by little (or maybe it was faster than we recall) they took their toll on attendance at events such as live band dances. Now that I think about it, makes sense to me. “Do you belive in magic? Saturday Night Band was another of the bands Stash would join in with at dances every now and then. These Welland musicians had a huge local following for years and made an enduring name for themselves by playing benefit dances on behalf of local charities and causes. Their commitment led to Paul Harris Fellow recognition by Welland Rotary, no small achievement. They could, and did, fill cavernous Ukrainian Cultural Centre hall time after time because of their fan base in and around Welland. Of course, their name came up in our conversation with Stash paying them tribute – for their music and for their humanitarianism. I have a six-disc set of their music and it is played as the mood overtakes me. Anyway, the Saturday night just gone by stirred my nostalgia from its deep sleep thanks in large measure to music by the British Invasion Band and Groovy Food. I’m not going to name the musicians – I don’t know all by name. Suffice to say they carry on traditions of so many still remembered groups who played for us over a long span of years at K of C, Morgan’s, Ukrainian and other venues now gone or forgotten or maybe even both. And at one I’d had a personal epiphany – I was a wallflower no more! The invite to Saturday night’s gig, held to raise funds for the entrance enhancement project at Welland Farmers’ Market described it as “ like a Welland South, WHVS, ND, Eastdale, sports reunion”. Sure sounded good to me. And the music sounded even better. And that 60s song by John Sebastian, well, it’s still playin’ in my head, thanks to the British Invasion Band. “Do you believe like I believe? This entry was posted in Uncategorized on April 29, 2014 by fromareportersnotebook. Let’s go for it, Welland! It would be foolish for the City of Welland and community-partner groups not to pursue a floral stamp that would honor the City of Welland rose. 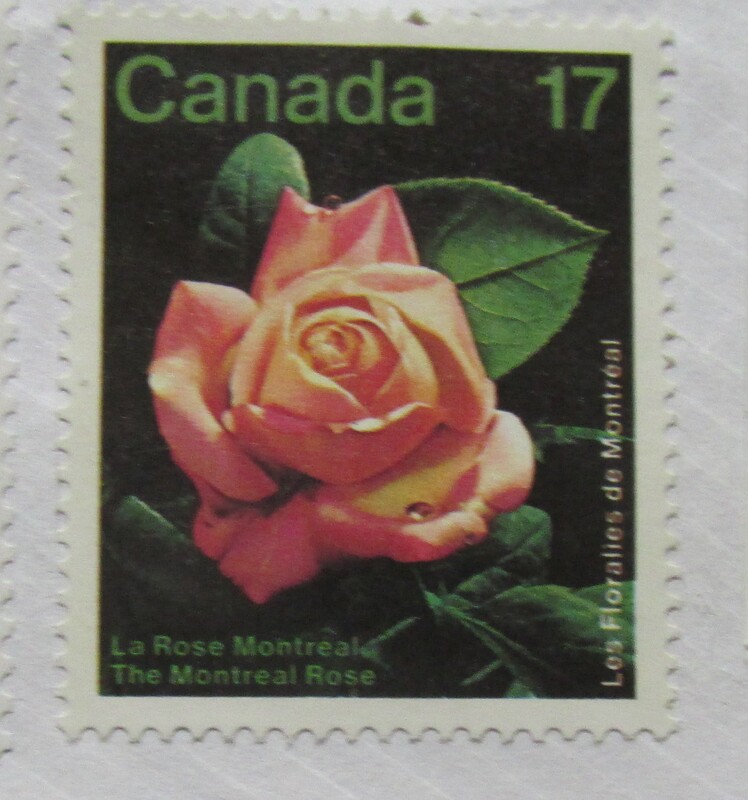 Such a stamp, issued by Canada Post, would shine a national and international spotlight on both Welland’s official flower, the City of Welland rose and Welland itself – Canada’s Rose City. It’s positive publicity Welland could use. It’s a project worth taking on – one perhaps spearheaded by the city with involvement of local groups, or by one or more of the latter working with the city’s blessing. Some that come to mind: Welland Pelham Chamber of Commerce, Welland Horticultural Society, Heritage Welland, Welland Rose Festival. 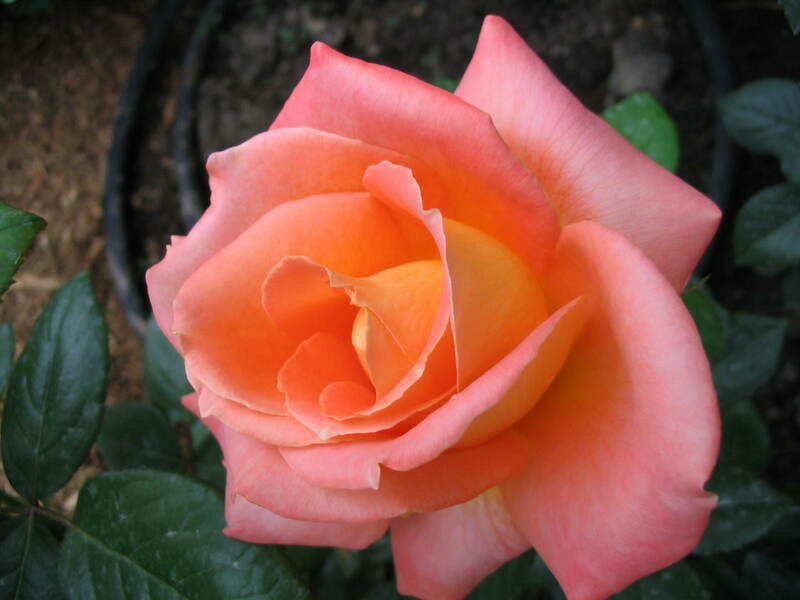 Canada Post on Wednesday issued two new rose stamps: one honoring the velvety red hybrid tea, Konrad Henkel; the other honoring a “creamy white hybrid tea with warm gold undertones”, Maid Of Honour. So, one day, why not a floral stamp honoring the City of Welland rose? A City of Welland-rose stamp could be timed to co-incide with the 100th anniversary of the Welland Horticultural Society in 2018 or the 100th anniversary of Welland being named Canada’s Rose City, to be observed in 2021. (Oct. 18, 1921 was the date). Such special stamps are sought after by collectors around the world and of course by consumers. 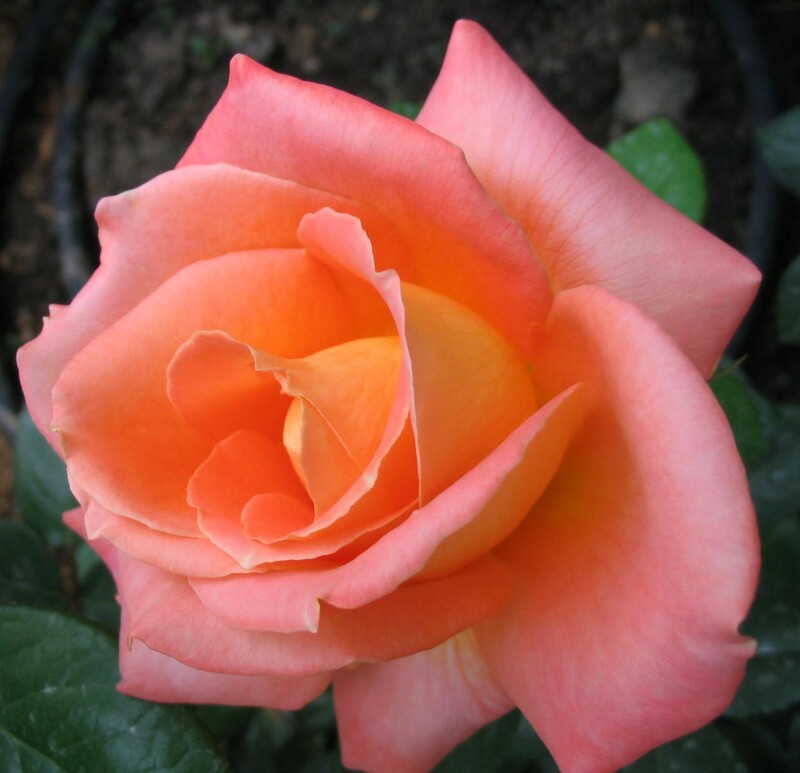 A City of Welland Rose stamp would travel the world in one way or another, drawing attention to our beautiful hybrid tea rose and of course, the city itself. Canada Post makes it easy: what to do, how to do it and when to do it are explained on the website. It’s certainly worth the try. Heck, the price is right: a stamp or two to mail the submission to Canada Post. So come on Welland, let’s go for it! We’ve nothing to lose – and a “stamp” of approval to gain. This entry was posted in Uncategorized on April 26, 2014 by fromareportersnotebook. Long retired from careers in public elementary schools, “class” is still in one day a week for a tight-knit group of former principals. They meet, most Thursdays, for lunch in the King’s Inn dining room at The Rex on King Street, which doubles as their study hall. No textbook learning here, the three R’s are replaced by the three C’s – camaraderie, companionship and commiserating as their core subjects. Though members have come and gone as years graduated into decades, the tradition continues, kept alive by a handful of diehards who know a good thing when they see it. Romeo Parent is one. His membership roots go back to the beginning, 1958, he says. Meetings have been held on a regular basis since that time on. Another well-known name from the Who’s Who of Welland public school academics and also one of the original members was Frank Seykoczky, said Parent, who is the last of the three organizers. Others now gone are also missed, Hector Beauparlant who was principal at Vanier School, being one of them on Parent’s list. The group also has “younger blood”, like that of John Mastroianni whose principalships included schools in Welland and Ridgeway until his recent retirement. He was at one of the luncheon meetings at The Rex, but I could not be there that particular day. Over the years, the principals made their mark on several local businesses. Their original meeting place was the Atlas Hotel on Southworth Street. Lunch is light and so is the banter. 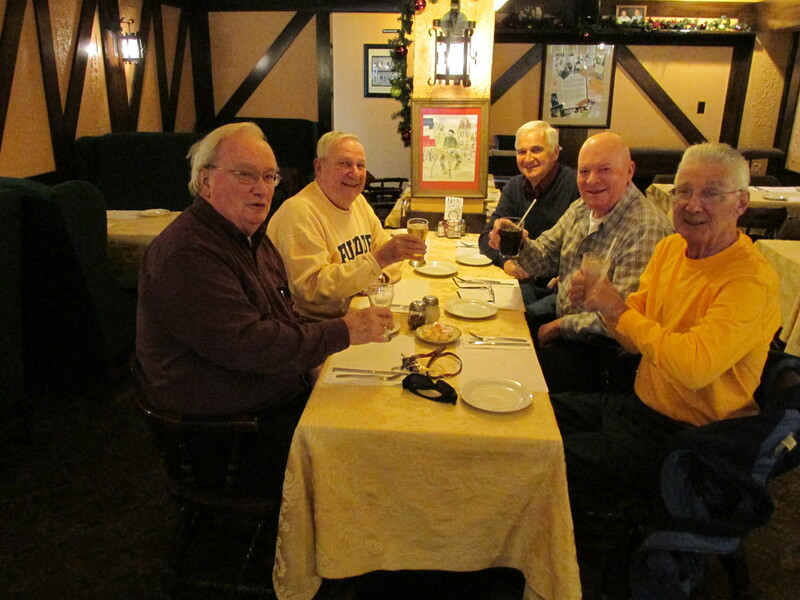 On one Thursday, toasted westerns with salad or fries, soup, gnocchi and a Rex staple, pizza, were ordered up by the half dozen or so members in attendance. 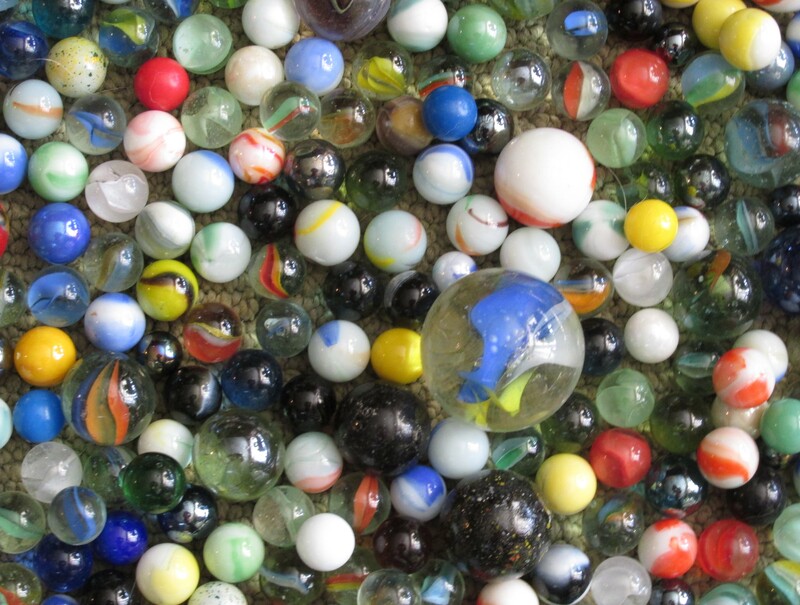 Parent, ever the principal, made mental notes of who was – and who wasn’t there. The only thing lacking was the attendance sheet with the names of the missing. Parent, 83, who saw duty at Riverview, Queen Street, First Street and Princess Elizabeth schools in Welland, said he’s missed only a handful of meetings over the years and even that could be an exaggeration. The gang follows the school year calendar for their meetings, taking a break during holiday periods like Christmas and summer. Said Gerry Blazetich, 73: “We were close as principals in Welland. There was a bond there, it’s hard to define, you had to be one of us.” During his career, Blazetich was principal at Mathews, Welland South, Elmwood, Humberstone and Greendale (Niagara Falls) schools. The principals had a team in the Crowland Softball League from the late 1950s to mid 1960s, Parent said. The team was sponsored by Sunnyside Dairy, whose owner Allan Pietz “was so proud to do this” and who stopped by to watch some of the games. Gray and Parent both recalled the esprit de corps for which the group was known, far and wide. To some, they were known as “the Welland Mafia” Parent said with Gray agreeing in earnest, stressing their loyalty to one another. Now, meetings provide opportunity “for rehashing events of the past, enjoying good times and just getting together with people you worked with over the years and respect,” he said. There’s no saying how long this group will carry on, noted Parent. This entry was posted in Uncategorized on April 24, 2014 by fromareportersnotebook. The look on my friend’s face said it all when he heard my prediction. “Habs in four,” I’d said, forecasting an ouster of the Tampa Bay ’Bolts in four successive games. The voice was incredulous as the look on his visage. “Un… deux…trois…quatre,” I said, making sure he got the replay in both official languages. I hadn’t heard that in quite some time. It’s an oldie but a goodie, as we used to say about hit tunes from the past. That was back in the ‘50s, maybe the ‘60s. 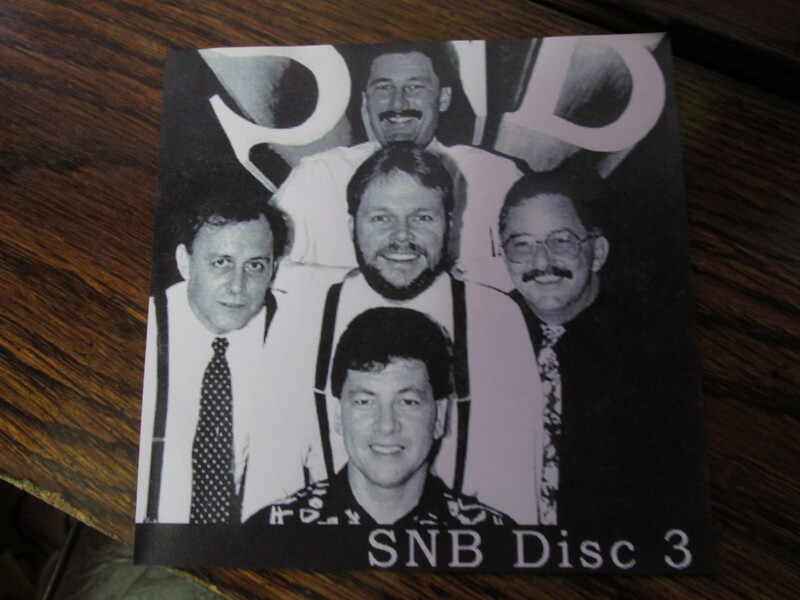 It was a favourite of DJs on Buffalo radio station WKBW, “1520 on the dial” as the DJs said. Then, when I offered a friendly wager to show how serious I was, the anti-Hab gladly accepted. “A pint of Kilkenny it is. It’s your funeral,” he chortled. Another popular expression from yesteryear. We used to say it often, as in admonishment to a school chum for cutting Mr. Speranzini’s physics class: “Okay, go ahead, but it’s your funeral” – a warning about the consequences that could be forthcoming. Besides, why would anyone want to cut one of “Spinx’s” physics classes? He was the guy who taught us the easy way of remembering the colours of the spectrum, in order, using an acronym: ROYGBIV – red, orange, yellow, green, blue, indigo, violet. For a split second, I considered changing the wager’s payoff to another beverage. “How about a Boston soda instead?” I pondered asking. Remember the Boston soda: two or three scoops of vanilla ice cream stuffed into a tall milk shake glass, and Hires root beer poured over the top, just enough so that it dribbled over the lip of the glass. Haven’t had a Boston soda in years. Maybe not since the ‘60s. Whatever happened to buzz off? That’s another buzzword I hadn’t heard in years, if not decades. Buzz off, and take off – that’s another one for you. Anyway, on the drive home, I was so excited by the probability of my Habs winning in four straight I “goosed it” at the intersection after the light changed from red to green. Those two words were in just about everybody’s vocabulary, especially after getting the use of your dad’s wheels and you were ready to pull out of the parking lot of the A and W on Lincoln Street West. So when the Habs win tonight, pardon me if I go ape. Winning the first round of these hockey playoffs will be out of this world after so much disappointment in previous years. And earlier in the season, I thought I was going to dye – my Habs sweater another colour. “Oh ye of little faith!” – now that’s old. This entry was posted in Uncategorized on April 22, 2014 by fromareportersnotebook.